So I've been really craving mini twists (which I have not worn for ages). Yesterday, I gathered up the energy to do them while catching up on "Scandal" and some youtube videos. 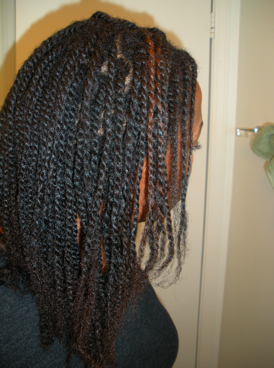 The twisting session was actually kind of fun and therapeutic ... but when I finished the mini twists, I asked myself, "What have I gotten myself into?". The un-twisting session (weeks from now) is going to be a beast, but hey. After un-twisting my last set of twists and then finger separating/detangling. After washing and air drying in a roller set. I then did a quick chunky braid-out to get this look. Out of curiosity, would you consider your individual strand thickness and overall density to be? I find that my end result with twists is always scalpy. I have fine strands but high density, somehow the density does not help the scalpiness. They look really good, don't even think about the untwisting session now, future you will sort it out! I'd say my strand thickness is mostly medium. Towards the back, it is definitely fine. As for the overall density, I'd say it is medium to high. My twists get close to the scalpy side when I do them very taut/tight (as opposed to somewhat loose) and big. 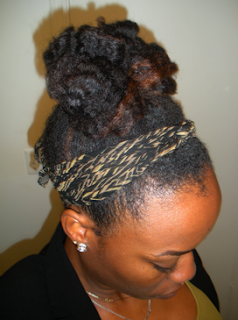 What size are you making your twists? Also, do you twist them very taut? Oh my goodness this mini -twist itch has hit me all of sudden too! I haven't done them in a while because of the thickness and length of my hair they just take soooo long. I've been putting in small to medium sized twists and they don't last very long because of frizz? So I am seriously thinking about the mini's again. But the install and the detangle after the take down...I shutter to think. Your hair looks nice and full! 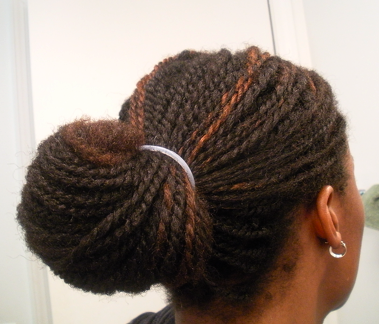 Beautiful twists! Mine are so stringy and scalpy... ugh! I just want to put some in right now and ignore my hair for a while. Can you give step by step how you do the roller set? Do you use a setting lotion ect? Congrats on your pregnancy, btw! 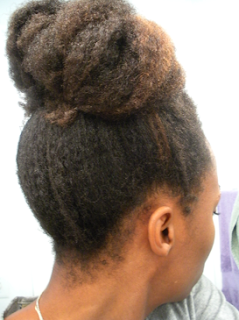 Here is how I did the coloring for my twists: http://hairandhealth.blogspot.com/2013/09/hair-diary-more-highlights-finalizing.html. Hey! My ends tangle more so in mini twists than in slightly bigger or medium twists. 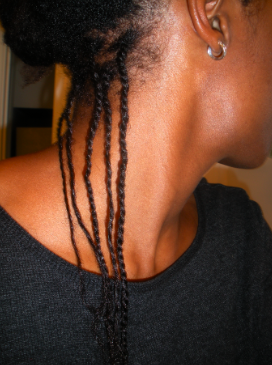 So mini twists are just a once in a while thing for me now. (I think the last time I did a set was last year?) That being said, I understand your situation. 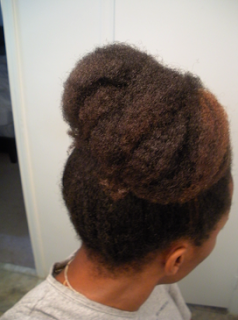 I think the tangling happens because the ends of the hair are much older, the cuticles are worn, and "bam" end tangles, especially on high-shrinkage hair. Lubricating the ends with oils and trying to keep them as stretched as possible can help a bit, but I still steer from doing mini twists on a regular basis. I'm experimenting with putting holding gel on my ends to decrease tangles, and so far that has improved the situation some. I'll know for sure when I take these twists out. Thanks Loo, I have done them all, large and loose, small and loose, small and tight, large and tight. They all end up the same way, scalpy! I also tried the two different twisting methods that you showed here in a different post. One does create much better twists although they do not last long with my hair because even steam from the shower does a number on them. I do like seeing twists on other people's hair!